These are the scroll and tabpage examples showed at the 2003 Meet Me In St. Louis conference. Have you ever wondered how-to use the VertScrollBar class? Then check this out. 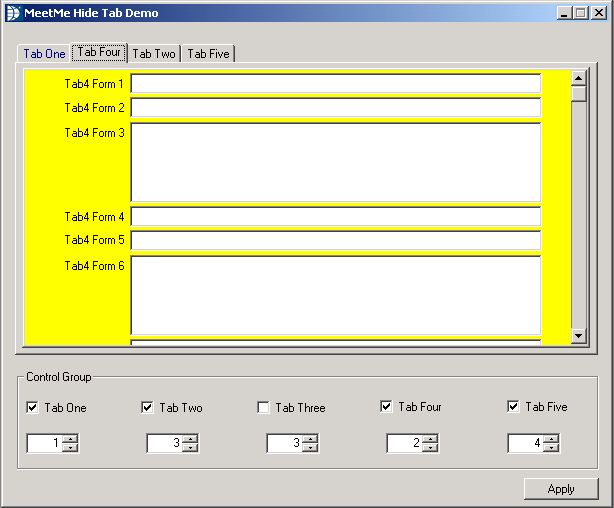 create a dbView that automatically scrolls to the activated forms if the forms are not in the visible region of the dbView anymore. But this is not all, in the same demo application you can also see how a viewbased solution has been rewritten into a subclassed solution. 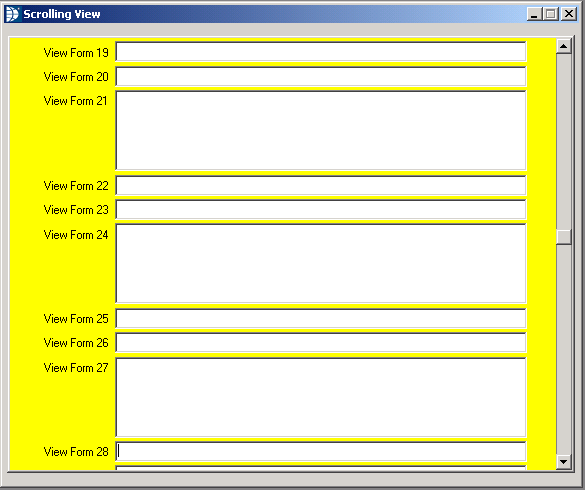 The demo application contains an example of the srolling code implemented at viewlevel and another example implemented at classlevel. Screenshot from the auto-scrolling view, the view has scrolled down. The scroll demo has also implemented hooks into the normal navigation controls so that you can use the normal keyboard keys such as Page Up, Page Down, Tab, Shift-Tab, Home and End-keys. In this demo you can hide and unhide tabpages from the control area. You can also change the order in which the tabpages are shown as you can see in the example screenshot above.